The Saints Row series has incrementally evolved over the years from being a game similar to Grand Theft Auto, into a game offering the craziest and wackiest open-world adventures this console generation has to offer. 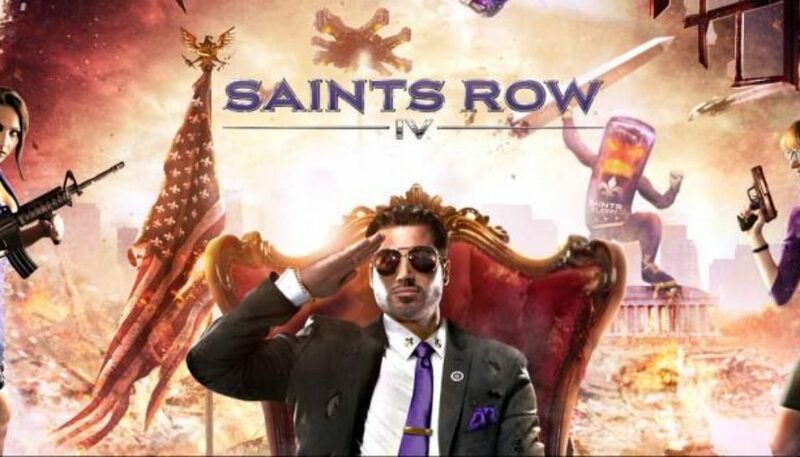 Saints Row: The Third threw the open-world video game rulebook out of the window of a moving car, then Saints Row IV reveals a giant hand with the middle finger firmly pointed skywards. However, with a game that appears to give you everything just imagine being in the shoes of the President of the United States. 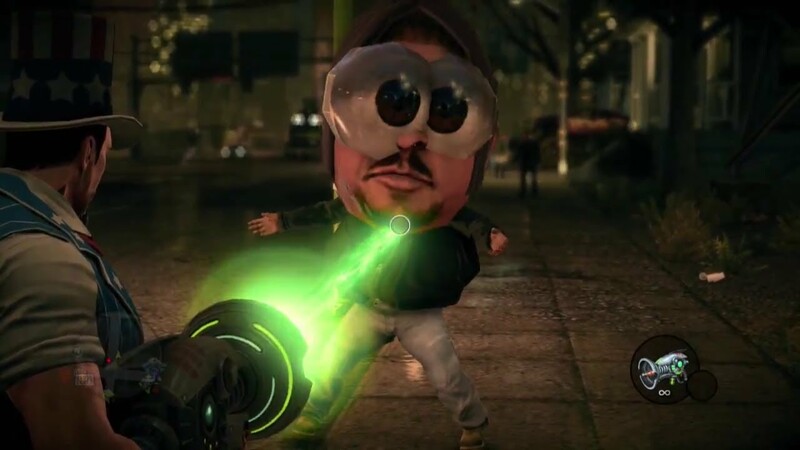 The visuals are one of the few aspects that lets Saints Row IV down. The developers haven’t been shy about the fact that it runs on exactly the same engine as the last game no tweaks, nothing. A few changes to gameplay would have been welcome as now it perhaps looks more like a glorified expansion pack. As mentioned, most of the gameplay takes place inside one of Zinyak’s simulations, which essentially means that you’re playing a video game inside a video game; which also explains all of the super powers, etc). In order to make it look like you’re inside a simulation, almost everything in the world will flash with pixellation from time to time. It makes sense to do this, keeping the fact that you’re in a virtual world right in the forefront of your mind. On top of that, there are several moments where the characters and cars of the world act in ways that you’d expect to see in the various ‘Video Game Fail’ videos all over YouTube. P.S. These aren’t bugs or problems in the game, this is all intentional to make you remember that you’re inside a simulation, which does get a bit irritating at times. It is over-the-top, wacky and downright nonsensical. There isn’t much that makes a heck of a lot of sense. There are many WTF moments and as I sit back and reflect on the 20+ hours I put into the game, I must say this was about the best time I have had in open world game to date. Yes, more enjoyable than Grand Theft Auto 4, Sleeping Dogs and dare I say Far Cry 3. GTA 5 arrives next month. It is the number one pre-ordered game at the time of this writing. 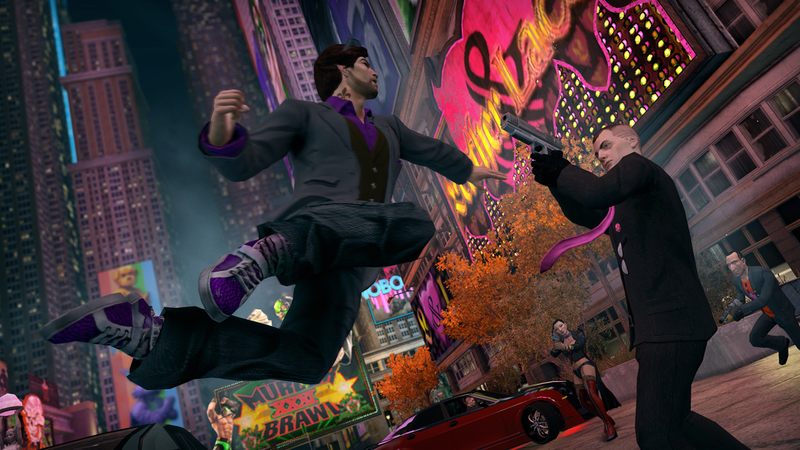 Many may pass up on Saints Row IV as they wait for GTA 5 to arrive next month. If you fall into that category, you are making a mistake. Just go for Saints 4 !